A bright, cool day. Fall’s colors are simplifying: red of sumac, yellow of bittersweet. Blue jays, cardinals, and waxwings are busy in the trees. We’re gathering the last pumpkins, and planning a new flowerbed for spring. 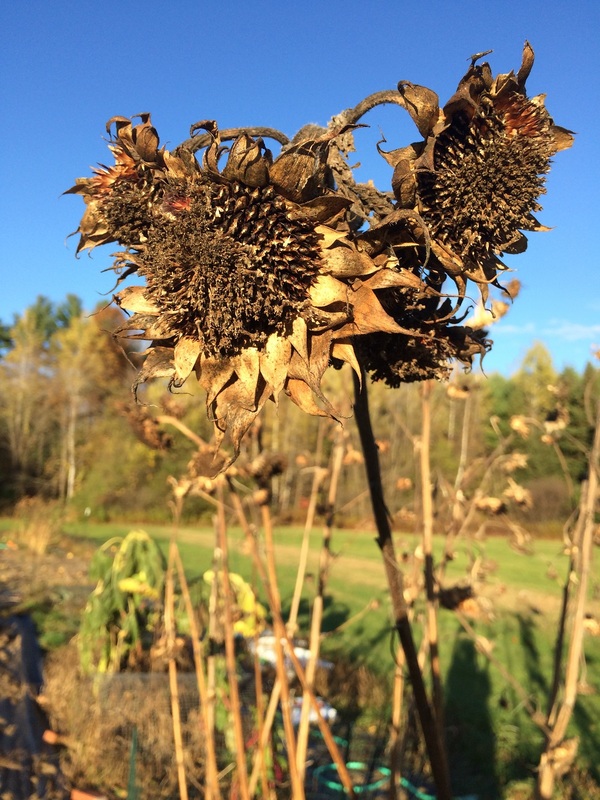 This entry was posted in nature, New England on October 26, 2014 by John. A cold wind is blowing from the north. We’re expecting a hard freeze tonight. 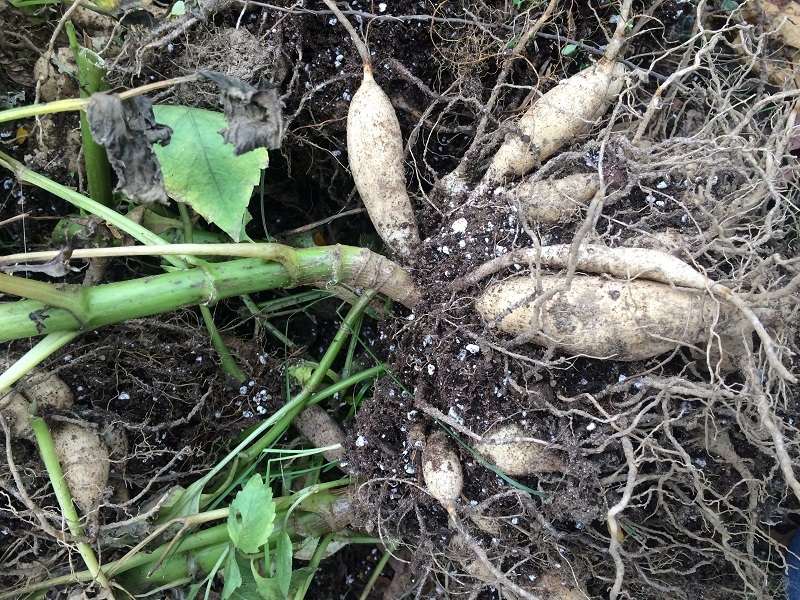 Time to dig up the dahlias and cart their tubers to the basement where they’ll spend the winter. This entry was posted in nature on October 19, 2014 by John.